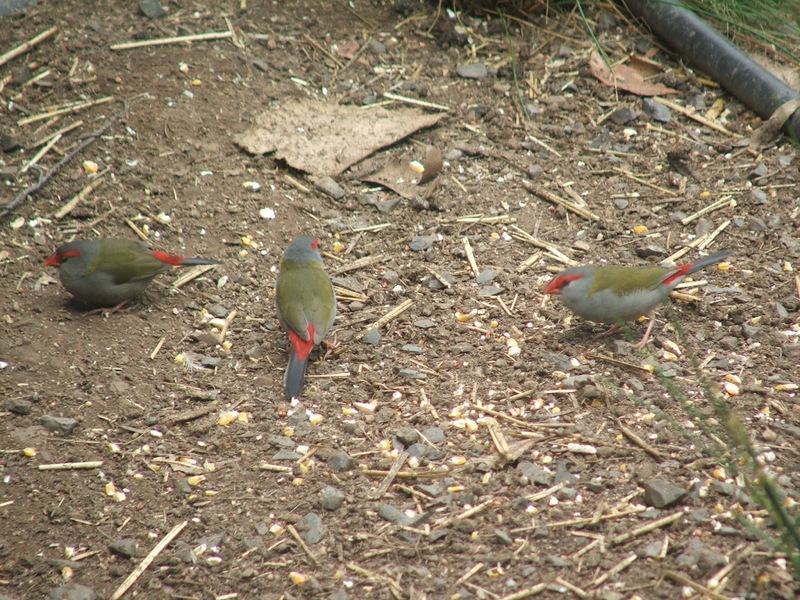 The red browed finch is a fairly common bird in our area. 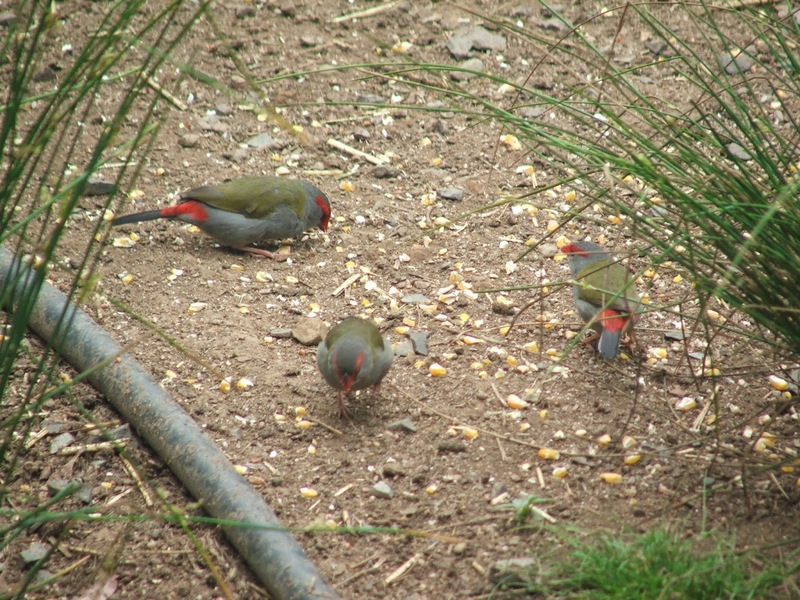 They live in large flocks and spend their time foraging for seed in my chook pens and on the ground around the humpy. 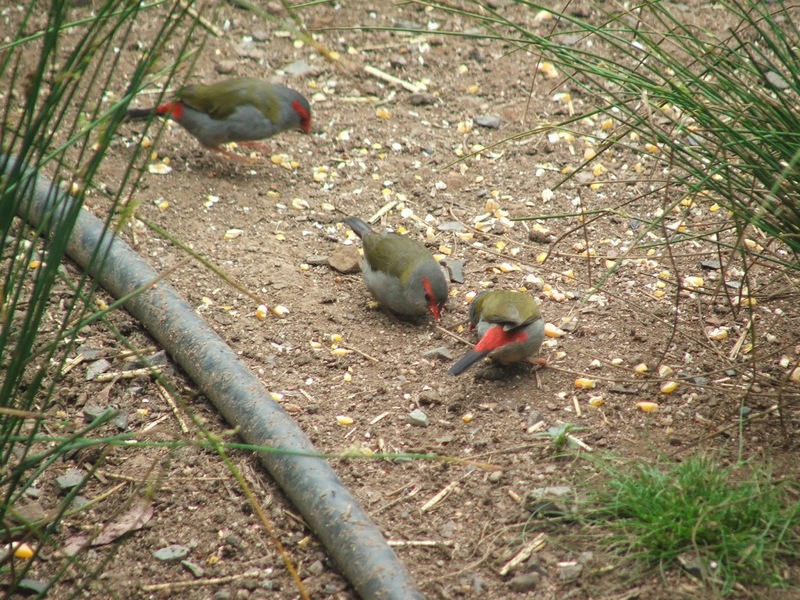 Seeing these little flashes of red and olive green flit through the garden or chook pen really cheers up the day for me; they always look so happy. In spring, just before they breed, these little finches go through an insect craving stage and spend a lot of time searching out insects from my vegetable garden, which is very useful when insect populations are high. They are often found with the blue fairy wrens in the yard, which is apparently a common association. 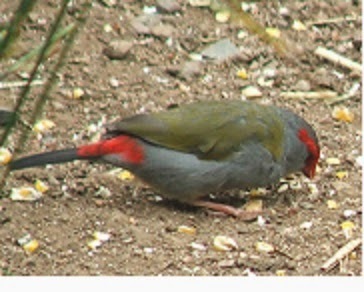 Although the two species don’t seem to talk to each other and wrens are predominantly insect eaters while finches are predominantly seed eaters. In the ecosystem of the humpy they provide insect control, eat and spread small seeds, provide food for corvids (butcher birds, currawongs, crows and ravens) and generally lift the life and joy about the place. They also provide a warning to everyone when a goanna or snake is about by flying around frantically and making high pitched squeaking sounds until someone comes to investigate. These photos were taken out of my office window…while I was supposed to be studying. What kinds of finches do you have at your place?